The risk of age-related disorders increases as a cat moves into his or her senior years and often catch pet owners unaware. 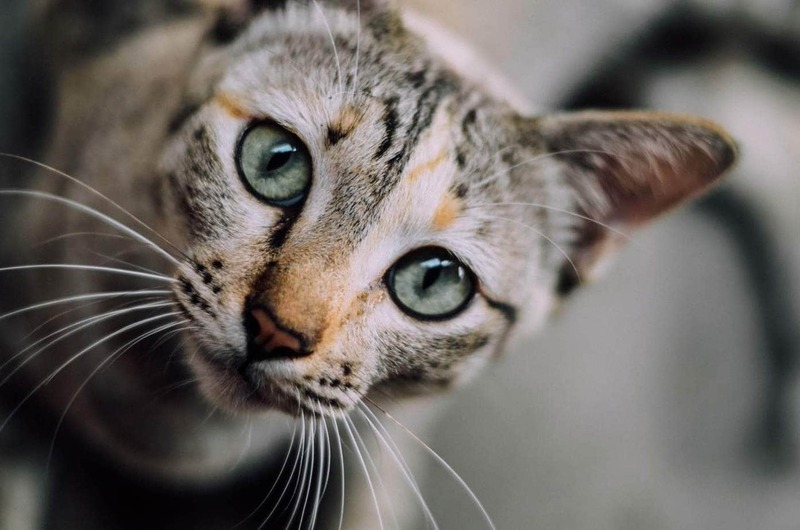 Cats are exceptional at hiding signs of pain and illness, and often just the smallest change can be an indicator that the cat has an underlying problem. In this article, we look at common symptoms which can develop in senior cats and the possible causes. Diabetes – Cells build up a resistance to insulin, a hormone necessary for glucose to enter the cells. As a result, glucose levels build up in the bloodstream. Acromegaly – A rare disease caused by an overproduction of the growth hormone (GH). It is caused by a slow growing, functional growth hormone secreting tumour (adenoma) of the pituitary gland which is located at the base of the brain. Cushing’s syndrome – An endocrine disorder caused by high levels of cortisol in the body either due to a tumour or medical administration. It is a rare disease in cats, middle-aged and older cats are most often affected. Chronic kidney disease – A gradual loss of kidney function over a period of months or years which causes a build-up of toxins in the blood. It a common disease in middle-aged to senior cats. Cancer – Also referred to as malignant neoplasms or malignant tumours, cancer is the uncontrolled division of cells that normally should be restrictive in their growth. Addison’s disease – An endocrine disorder caused by a deficiency of corticosteroids which are produced by the adrenal glands. The cause is the destruction of the adrenal cortices, which are responsible for producing a number of hormones. The two most common causes of an increase in drinking and urination are diabetes and kidney disease. Between 70 – 85% of kidney function can be lost before cats display clinical signs of kidney disease. Weight loss can sneak up on a cat without the owner noticing because the fur can mask signs of weight loss. Tumours (benign and cancerous) – Mast cell tumours, squamous cell carcinoma, melanoma, basal cell tumours, lipomas, liposarcomas, cutaneous skin horns, hemangiosarcoma, sebaceous cysts, sebaceous gland tumour, mammary gland tumour. Gum disease – An inflammatory infection which leads to the destruction of the supporting gums and bones. Uncontrolled diabetes – Ketoacidosis is a serious complication of diabetes in which ketones and blood sugar levels build up in the body due to insufficient levels of insulin which is required to move glucose into the cells for energy. The body uses fat as an alternate energy source which produces ketones. The breath takes on a fruity smell, due to the presence of ketones in the blood. Dental disorders can be painful and cause reluctance to eat. Other symptoms of dental disorders include plaque on the teeth, discolouration, redness along the gums. 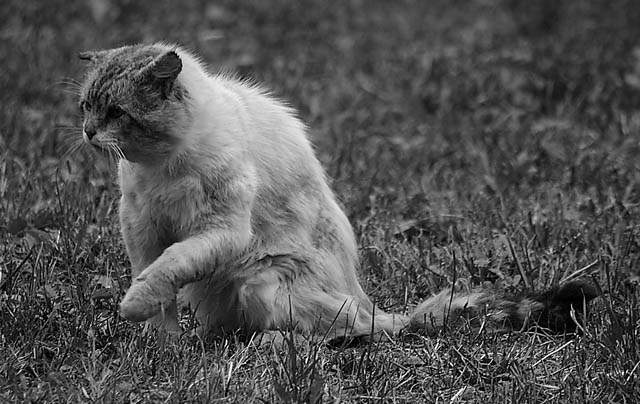 People often put stiffness, slowing down, reluctance to jump, or taking smaller jumps, going to the toilet outside the litter tray and less graceful movements down to normal aging however arthritis is often the culprit. Arthritis is a painful condition in which the shock absorbing cartilage which cushions the joints wears down and is eventually lost. This means a lot of cats are living in pain because they have undiagnosed arthritis. Acromegaly can also cause painful joints in affected cats, however, this disease is a much less common cause of stiffness and pain. Arthritis – It can be difficult for arthritic cats to climb in and out of the litter tray. Dementia – Just like humans, cats can begin to lose their mental faculties as they move into their senior years. This can come as quite a shock to pet owners, as dementia is not something most people associate with cats. Urolithiasis – Uroliths are rock-like stones which develop in the urinary tract of affected cats. Loss of vision – This can develop suddenly or be slow and progressive. 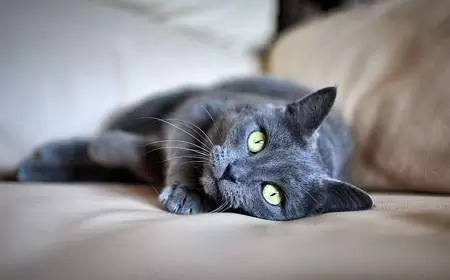 Urinary obstruction – One study found the median age of urinary obstruction was six, which is middle-aged, but this is a condition that is life-threatening to any affected cats. Most cases occur in male cats due to their narrower urethra. Common symptoms include crying, excessive genital licking, frequent trips to the litter tray. If you notice any changes seek veterinary advice. Many of these conditions can be successfully treated if caught early, others can be managed to slow down their progression. What is considered old age (senior) for a cat? A cat reaches middle age from 6 years of age, and moves into his or her senior years around 10-11 years of age. Beyond 14 is considered geriatric. How often should a senior cat see a veterinarian? We recommend that ALL cats over the age of seven have bi-annual health checks to pick up any changes. In-between veterinary visits pet owners should be alert for subtle changes that may indicate the onset of a disease. What tests should I ask for? Baseline tests which include complete blood count, urinalysis and biochemical profile which will provide the veterinarian valuable information about the overall health of the cat. Additional tests may be necessary if baseline tests reveal any abnormalities.